An article in The New Yorker is claiming that experts are putting the odds of an almost unimaginable disaster occurring in the next 50 years in the American northwest at 1 in 10. They say that the unheralded Cascadia Fault will be the cause of a 9-plus magnitude earthquake followed by a 100-foot tsunami. Directly affected will be everything west of I-5 from Seattle to Portland. 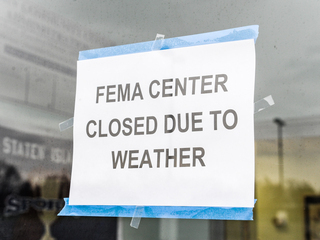 The initial death toll will be 13,000 as estimated by FEMA. If the quake hits in the summer when the beaches are full it will be far higher.Those with no choice but to remain there will spend three to six months without electricity, one to three years without drinking water and sewage systems, and three or more years without hospitals. The full article by Kathryn Schulz can be found here. At 6:17 p.m., in Springfield, Pa., minutes after the June 23 storm. BillLawrenceOnline was among the Delaware County organizations affected by Tuesday’s storm. Power and service returned about 7:40 tonight, June 26. We would like to thank PECO and Springfield Township for their assistance. Despite the wait, we never felt abandoned. We also again realized what great neighbors we had. Chef Bill Sr. should himself to be a chef supreme in his cooking the food thawing in the freezer. The lemon-chicken, cheese steak burritos and blueberry pancakes done on a gas grill made us pity the poor people who had to eat in restaurants. One point, though immediately after the storm neither 911 nor PECO were taking emergency calls. With the first American Ebola case now confirmed in Dallas, we should note some things not to do for those in a position to have a forum and we will start with Delaware State Professor Cyril E. Broderick, Sr., a Liberian native who had a screed published in the Monrovia Daily Observer blaming the disease on the CIA. The Daily Observer is Liberia’s largest newspaper. Broderick cited the 1989 novel The Hot Zone as his source. Delaware State is defending Broderick declaring that it is his First Amendment right to spout this garbage. Of course, that’s a straw man. Nobody is advocating jail for this twit. We are suggesting it be appropriate to condemn what he wrote — The First Amendment applies to Delaware State administrators as well, after all — and takes step to disassociate the school from him. It is a sad day when the NFL takes idiotic statements by its employees more seriously than academia. 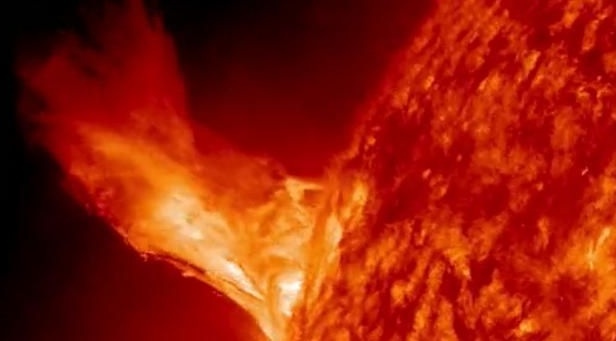 During the past two days, the Sun has had two bursts of radiation called a coronal mass ejections, or CMEs. The one that was emitted Tuesday is supposed to arrive early tomorrow, Sept. 12, and create a G2 (Moderate) geomagnetic storm, according to the National Weather Service Space Weather Prediction Center. The G3 storm watch will continue through Sept. 13 with G1 (minor) storming expected to occur into Sept. 14. The authorities don’t seem to expect any problems that can’t be handled, however, and have not as of Thursday evening issued any advisories for the average citizen. Dr. Kent Brantly and Nancy Writebol, the two Christian Missionaries who contracted ebola after treating patients in Liberia have been released from Emory University Hospital it has been announced. “We are tremendously pleased with Dr. Brantly and Mrs. Writebol’s recovery,” said Dr. Bruce Ribner, director of Emory’s Infectious Disease Unit. He noted that the hospital is confident their discharges pose no public health threat. Nearly half the patients receiving medical care in the current outbreak in West Africa are surviving, CNN reported. For Dr. Brantly’s comments visit here. With all the stories regarding celebrity deaths and such, it sure is easy to see why its hard for the old media to find some room concerning the West African Ebola epidemic. Today’s Philadelphia Inquirer did manage to sneak in a few paragraphs on page 4 about how its going to last six more months. As of yesterday, Aug. 15, the reported toll was 1,145 deaths and 2,127 cases of the disease. The New York Times, to its credit, is taking the matter seriously, as is Matt Drudge. Other stories of interest not getting much mention is a report that Ukraine has attacked Russian troops — something denied by Russia — and leaves changing color in Pittsburgh due to record cold temperatures pretty much putting paid to all claims of global warming. What happened March 11, 2011 in Fukushima, Japan wasn’t a nuclear disaster according to physicist Kelvin Kemm. Granted, it was a earthquake and tsunami disaster but the actual destruction caused by the core meltdown at the Fukushima Daiichi plant was minor. Kemm notes that there no deaths or injuries caused by radiation , and no private property damaged by radiation. “What there was, was a major media feeding frenzy fueled by the rather remote possibility that there may have been a major radiation leak,” says Kemm. Kemm notes that the only deaths caused by the meltdown were due to the forced evacuation of thousands of persons leading to heart attacks and disrupted medical treatment. If a near half-century old nuclear plant can experience a nine magnitude earthquake and 30-foot tsunami without causing nuclear energy related deaths, then nuclear energy is a technology that should be encouraged. For Kemm’s full article visit here.